Taylor died Wednesday at the Ronald Reagan UCLA Medical Center in Los Angeles after a heart attack, his son Kaedi Taylor told The Associated Press Saturday. The elder Taylor was 80. Taylor's character, Rollo, was the sidekick to Lamont Sanford, played by actor Demond Wilson, and often drew the skepticism of TV patriarch Fred Sanford, who thought Rollo was a bad influence on Lamont because he'd spent time in jail. The fast-talking but good-hearted Rollo dressed in colorful suits and hats and called Fred — played by actor and comedian Redd Foxx — "Pops." Taylor went on to act in other shows and movies, later opening a performing arts studio for young actors. But his son said Taylor never tired of people recognizing him as Rollo. "It was a time and an era — just to be on TV as a black man, it was an honor," said Kaedi Taylor, who works in the television and film industry behind the scenes. "It was an honor for people to remember him." 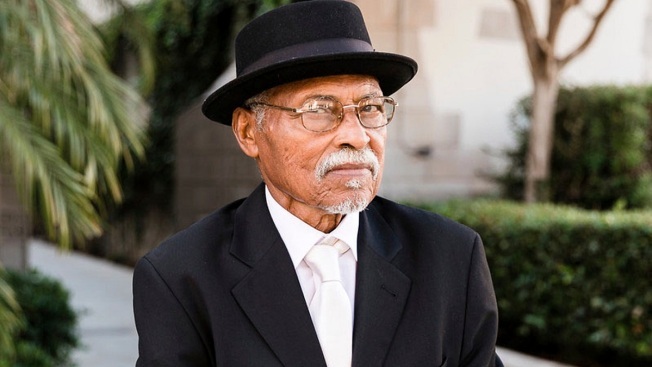 Nathaniel Taylor also played roles on shows such as "The Redd Foxx Show," ''Police Story" and "What's Happening" and Blaxpoitation films such as "Dynamite" and "Trouble Man." He reprised his role as Rollo in the 1980s spinoff "Sanford." Hip-hop music promoter Alonzo "Lonzo" Williams, one of Taylor's longtime friends, said the actor was a mentor to many. "He was always there with a wise word and a kind word and a joke to put a little icing on it," Williams said. Taylor is survived by his wife, Loretta, four daughters and three sons.